Are you ready to reach your dreams? Do you have dreams - goals? Many of us don't know how to dream anymore. We have given up on possibilities in our health and settled for sickness - it is just how it is, right? We have settled for bills, housepayments, car payments, etc. It is just how it is right? The answer to both those assumptions is NO! I LOVE how I can help people dream again and not only dream but set goals that are attainable. Yes - you can avoid settling for sickness - IT IS VERY POSSIBLE! Yes - you can avoid paying housepayments, car payments, bills, bills, bills, etc. IT IS VERY POSSIBLE! No I don't mean bankruptcy I mean honest income, honest achievable health and income that will let you start dreaming again. To learn more it is my heart felt desire to show you the possibilities. Please connect with me soon before you give up and give in to what you have been living with and start experiencing TRUE FREEDOM! We are experiencing the Shaklee difference through the products and the business. We love to work with everyone who wants to reach those dreams and feel the difference. If we don't respond quickly we are probably on a bike ride. 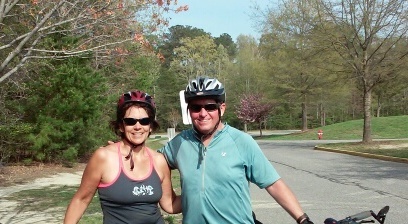 Since starting Shaklee we have biked a Century ride, New York Ride and many other great adventures. It is Possible!